It comes around twice a year for most schools…parent teacher conferences. Some are student led, some are teacher led, and some are parent led. They may occur in the evenings, or on a day where kids are out of school. The times are often limited because the teacher must be available to all families. This is a huge responsibility on the part of the teacher, for every word spoken about someone’s child will evoke emotions. Teachers share accomplishments of each child, but sometimes have to share some very heavy information. It is a stressful time of year for educators, but can also be quite stressful on kids and families. Is the term “Parent Teacher Conferences” even the proper language to use when sharing information with our famlies? How many kids in our schools are not living with a parent? Maybe it is time to shift our thinking to “The Family Conference” mindset. The dynamics of the family have evolved over the years. Granparents, aunts, uncles, foster parents, and even siblings are raising children in their families. Shifting our thinking from “parent” to “family” will foster a more inclusive culture and help everyone feel more at ease when attending school events. Now that we have established a new name for this event, let’s consider what family conferences should entail! I am no expert, but have learned over the years in my roles as mom, teacher, and administrator that the experience can support kids in big ways! Have multiple conversations BEFORE the required conference time. Make deposits! Be intentional about sharing celebrations and “just because” news. Make sure your communication prior to conference time is clear and consistent. Never spring information on families that will cause them to question your level of communication up to that point. Plan your conversations with each family, just as you plan instruction for kids. Reflect on the growth of each child and prioritize what will be shared. Ask each child what they would like their families to see when they visit the classroom. Send home a Family Conference Input Form for families to record questions and concerns. Prepare an Family Conference Outline for each student to help you remember what needs to be shared. Base it on your reflections, and input from your students and their families. Prepare an area for kids to wait while you conference with the family. Keep in mind that families may bring other children with them, so have a plan to engage all ages during your conversation. Listening stations or computer activities with headphones are great to have available, especially if the conversation includes some difficult information. Have a place for families to sign in, and leave out something they can take with them as a thank you for attending. Always begin by sharing positive information. Celebrate each child as a person FIRST, and a student SECOND. Families want to know how their child contributes to the classroom, so tell them how! Avoid basing your conversation off of data and report cards. This can be overwhelming. There is infinite power in the family conference…use it! Make sure each child’s family feels how much you care, and how much faith you have in their child’s success. This time is so precious, and very limited. It is meant to be a time for focusing on the growth and strengths of kids, along with one or two areas for improvement. Major concerns about behavior and academics need to take place at different times, and consistently throughout the school year. Relationships are vital to the success of kids in school, and in life. They must see that their family and the school are working together to support them. Families are sending us their greatest treasures, and trusting us to love, learn, and lead them. That is a responsibility like no other. This entry was posted in Edcucation, Relationships, School Administration and tagged Education, family engagement, parent teacher conferences, Relationships, school culture, Teaching. Bookmark the permalink. ← Positive Interactions: Are You Intentional Enough? I totally agree with changing the name to Family Conferences. You are so right we have so many scholars who don’t live with their parents. They have caring, loving and passionate adults who are taking care of them. Building relationships are key and thinking outside the box with how to involve key individuals. As you can see from my Twitter @AssistSupArea4 we are about to have conferences next week, however several schools have gone to scholar led conferences. I know as a parent I would have loved to hear from my sons at parent teacher conference days. This allows every scholar the opportunity to shine, be the superstar by having them be the leader. We must let go of the reigns and continue to allow innovation to be the drive. 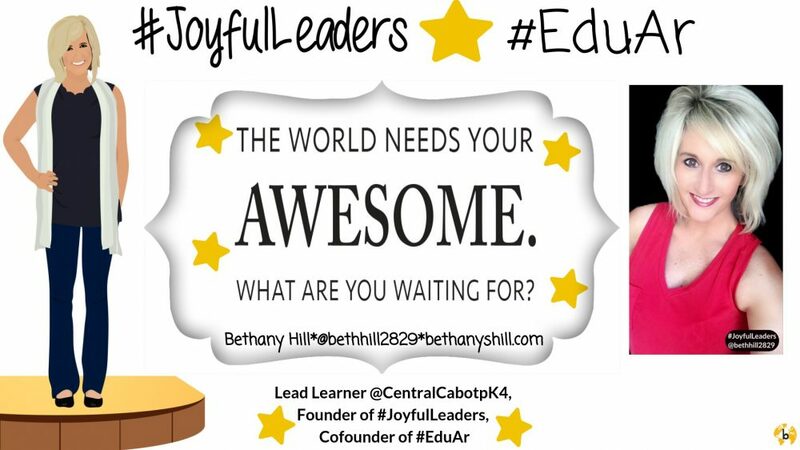 Thanks #Joyfuleaders for all you do and Beth you inspire and the leaders to think outside the box continuously.